Fun organization for my jewelry/ New gifted Shop Kempt chevron blouse/ Fresh blooms/ Cute Haus Interior tray for random goodies/ Wine from Lisa/ Gifted Estée Lauder mascara in a bright teal color "Extreme Indigo"
Beautiful colours. 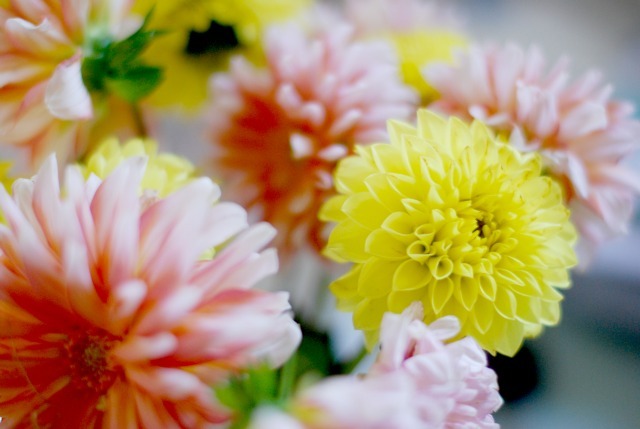 Those flowers are gorgeous! 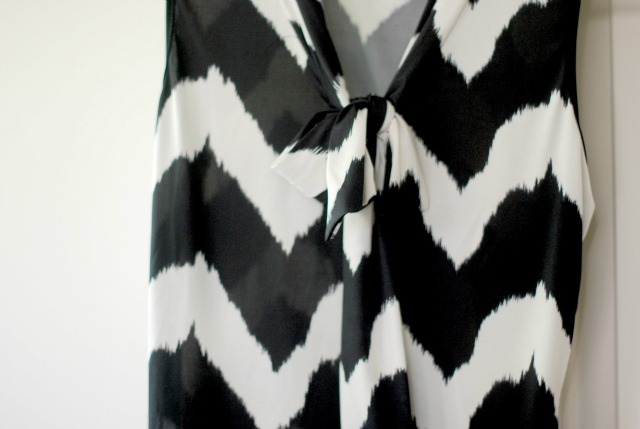 i LOVE that chevron blouse... can't wait to see it in an outfit post! Love the photos. 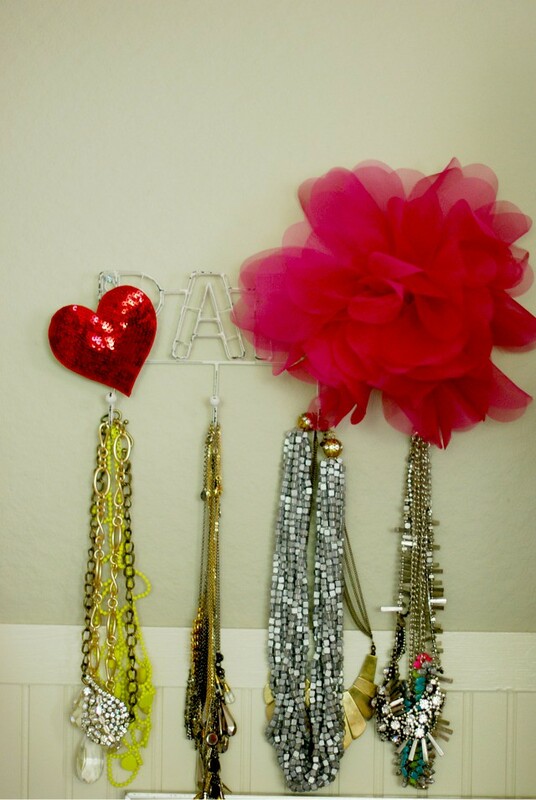 Your jewelry looks so pretty hanging up! Nice Jewelry, Good Mascara & pretty flowers make me smile too. great photos, i love the jewelry! I love your pictures!! So creative! 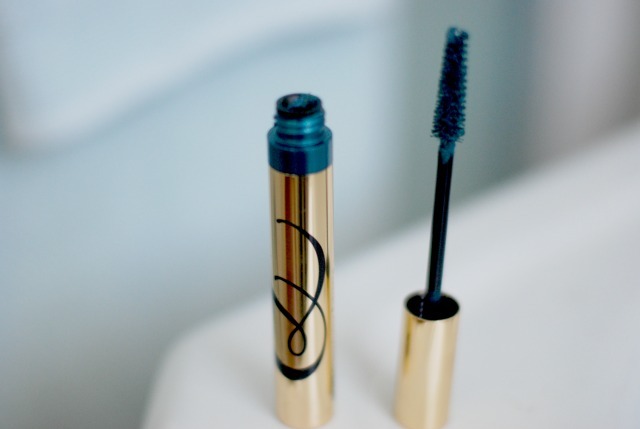 Oh, I just ordered that mascara and I hope it gets through customs in France, and looks good on! I see some Ban.do in there! :) OH, and I've been wanting to try Cupcake wine. I totally judge a bottle by its label -- and I think that one's so cute! That peacock hued mascara would brighten my day! Oh Taylor, you really are a woman after my own heart! Love all the sparkles in that first picture (which looks remarkably like my own room). Jewelry in the bathroom! Why didn't I think of that?? I spend most of my time in there anyway...might as well be looking at some fun little trinkets...great collection! Statement necklaces, perfect for the season! 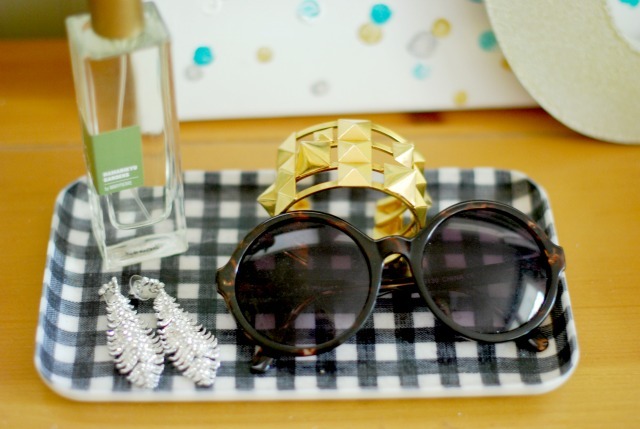 Love your super round sunnies! Lovely pictures!! I love the one with all the necklaces. Especially the large silver one is awesome! Where did you get that, if you don't mind me asking. Adore the little organizer! So adorable. And the necklaces? To Die FOR! They have cupcake wine? That is crazy! I love that pyramid-studded bracelet! 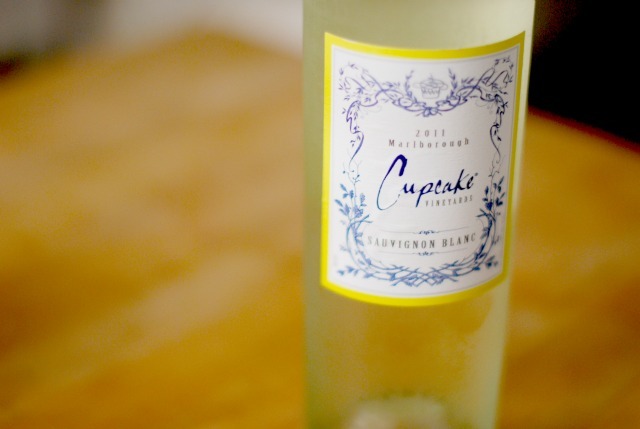 I need to try "Cupcake" wine. Looks delicious. your tray is so cute! matches your black shirt! Love it! Is that a cuff behind your sunglasses? If so where is it from? They make me smile, too! Oh my, this totally made me smile too! I adore your jewelry spot, so pretty!! And that new top looks gorgeous! Thanks for sharing! I love that wine! Cupcake wines are yummy! Cupcake wines are probably my favorite. I have yet to try the vodka, but the reds, whites and even the prosecco is delish. I just reorganized my dresses and I'm on a search for a cool tray, love yours! i have those exact same send the trend sparkly feather-ish earrings (i believe from the Bloggers Night Out gift bag?!) love them so much-they're just as pretty to look at when not wearing them! Those are all great things. I especially love your oversized hot pink blossom! Adorable! That tray is very cool! Reminds me of a similar one I got from ikea. oh my - cupcake wine is the best. it tastes like pineapple summertime.